A scavenger hunt for adults by the expert in play! 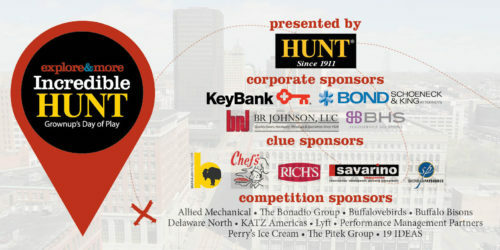 Gather your friends and hop in a car to reveal clues and answer trivia about Buffalo as you race to the finish line. The party ends at 500 Seneca with drinks, food, and tunes! Learn more here!